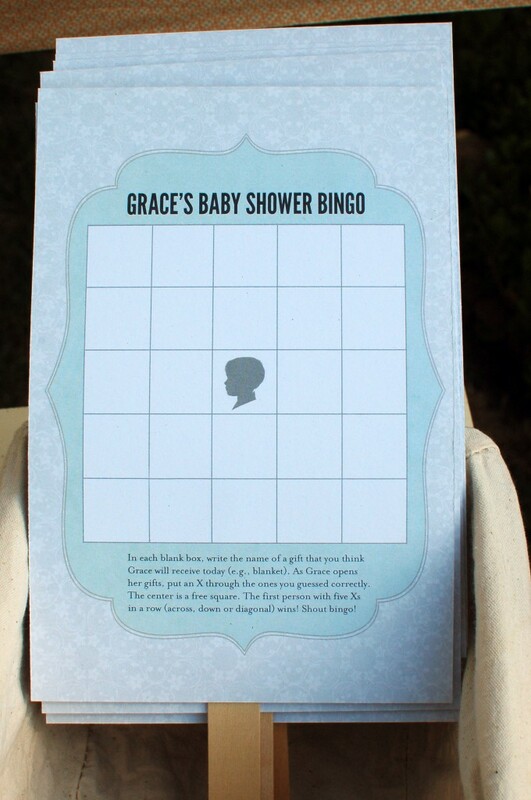 I recently had the honor of hosting a baby shower for my friend Grace. 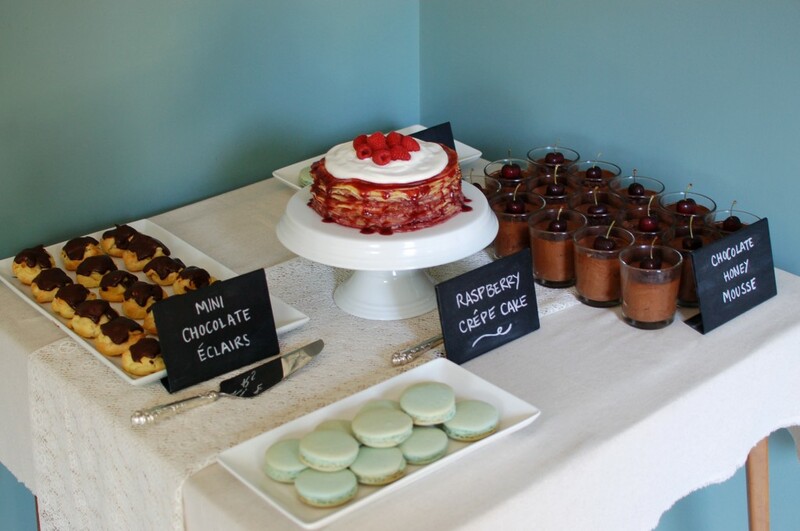 I particularly enjoyed planning this shower knowing that Grace’s affinity for Europe meant I could make the party a little fancy and a little French and not necessarily the typical baby boy party! 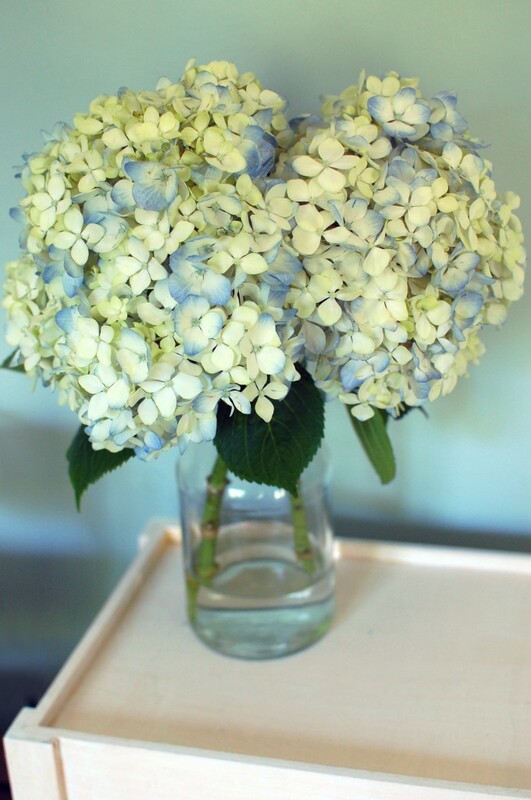 The day before the shower, I headed to the flower market for blue hydrangeas and came home with statice as well. Huge bunches of the periwinkle-colored statice were just $2, and they’re looking as lovely now (nearly two weeks later) as on day one. Amazing. I also had an overwhelming urge to change the shower “color” to red after passing gallon-size buckets of 10 dozen spray roses for $15! Amazing x 2. 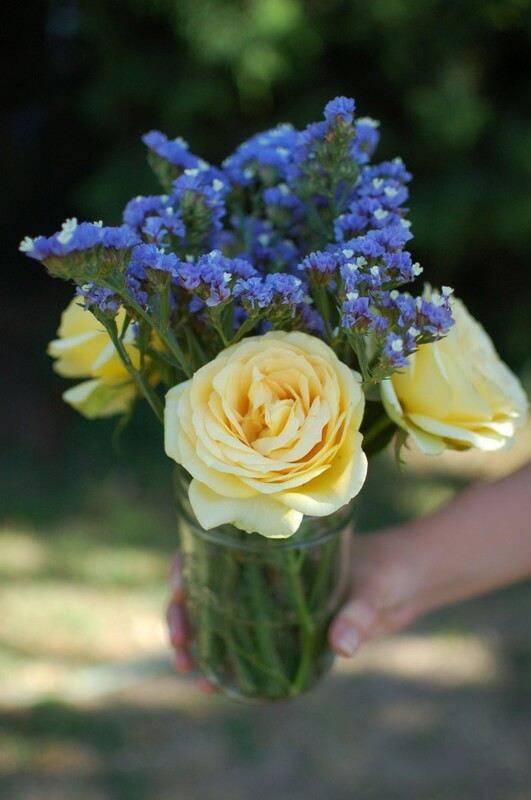 Instead, I added white and yellow roses from the garden to the statice arrangements. 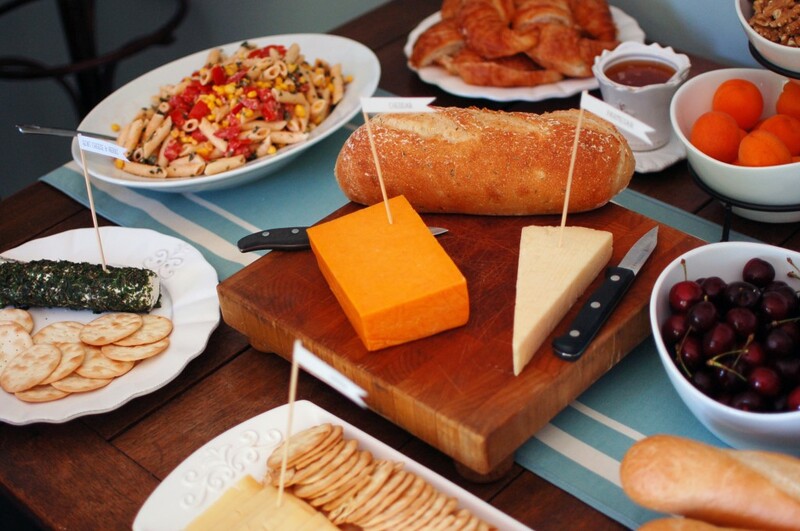 For the food table, I arranged a sprawling spread of cheese and accompaniments. 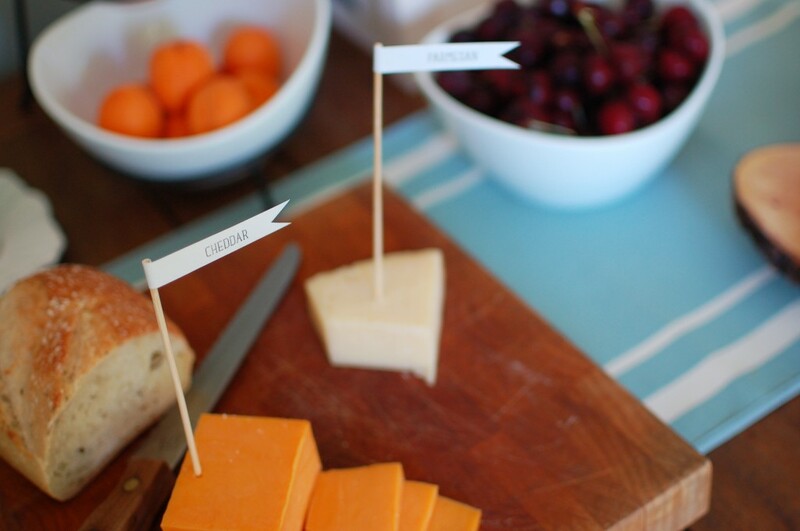 I used flags to label the brie, parmesan, cheddar, gouda and herbed goat cheese. 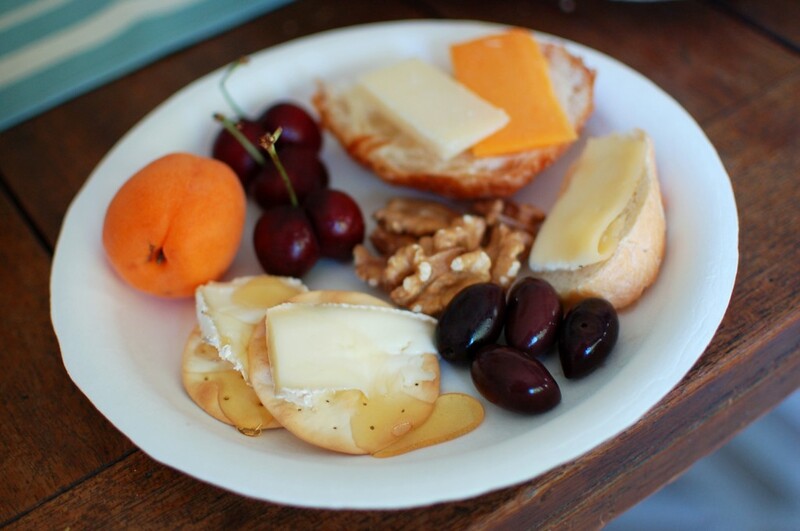 Extras included croissants, breads and crackers, a pasta salad, walnuts, cherries, apricots, honey, dried cranberries and olives. It was great not to worry about cooking on the shower day, but getting so many dishes on the table was its own logistical challenge! 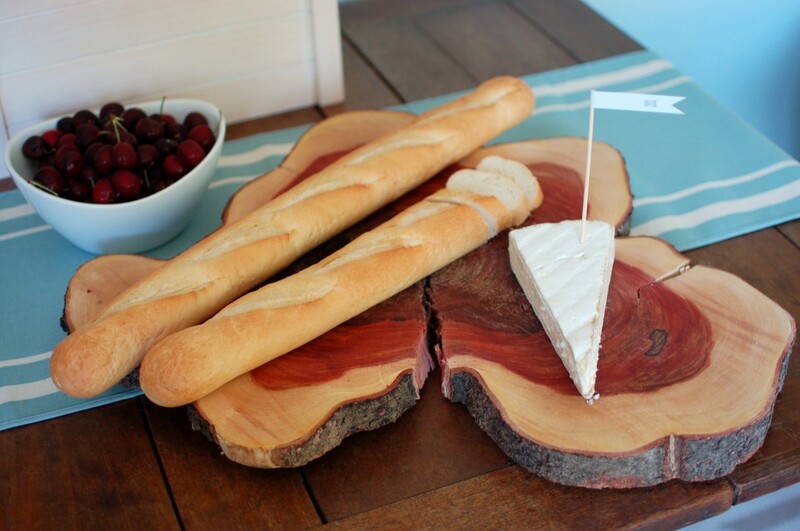 Greg also sanded a beautiful piece of wood to function as a cutting board, and it was finished just in the nick of time — guests were already starting to arrive! Activities included bingo and thumbprint-stamp balloons. Look for boy and girl versions of the bingo board to download in an upcoming post! 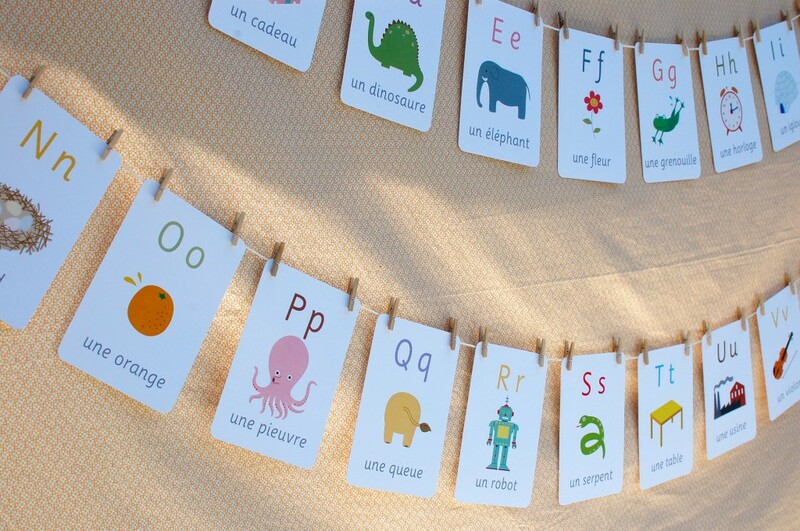 I also hung French alphabet cards that served as both a decoration and an activity. Guests unclipped the cards to write notes on the back for the baby. 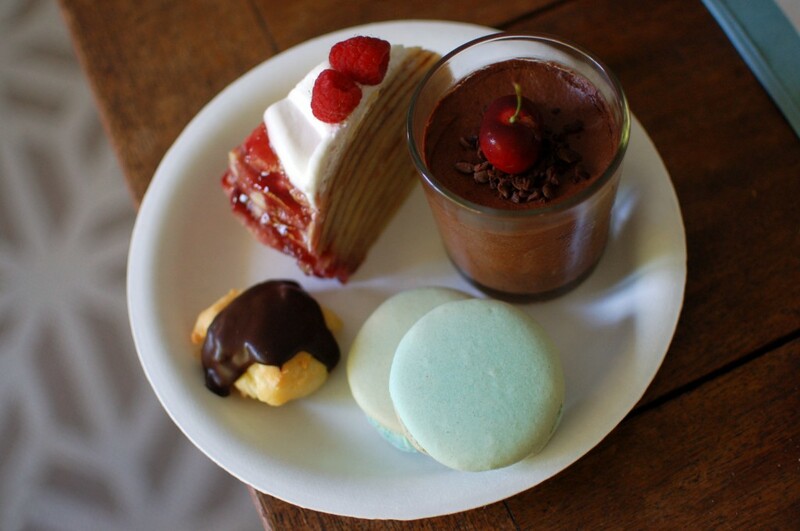 The shower ended with French desserts — pistachio macarons, chocolate honey mousse, mini chocolate éclairs and a raspberry crepe cake. 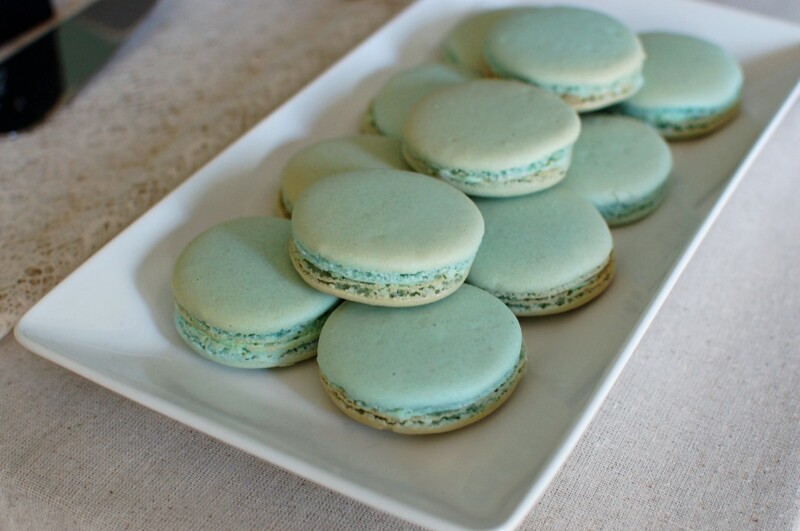 I had several near-catastrophes with my macarons and crepe cake — fortunately I made them ahead of time and not the day of the shower! 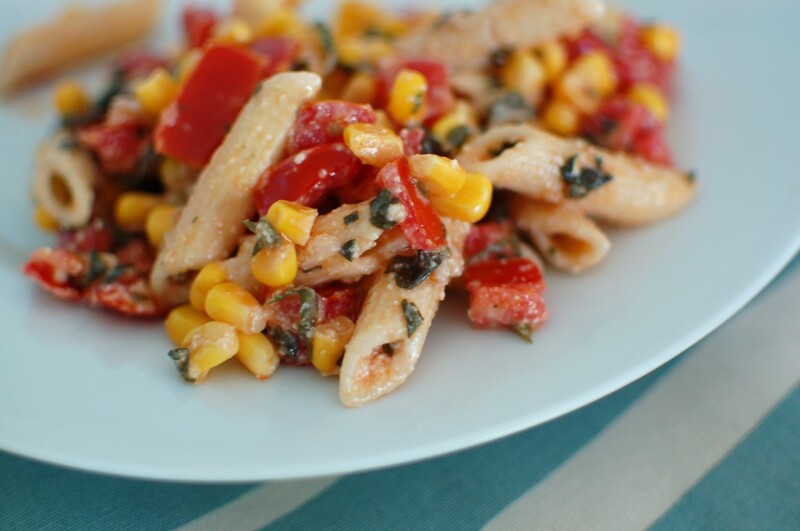 In the end, they were both pretty and delicious. Whew! 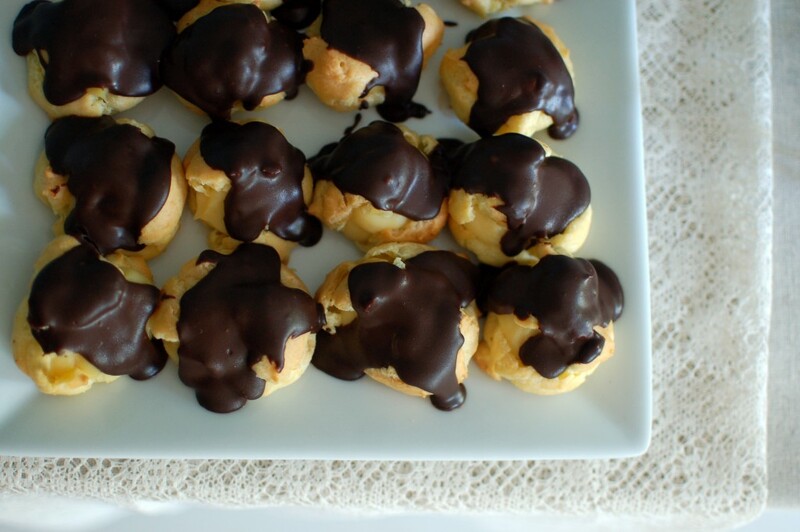 My mother-in-law made the fabulous éclairs, one of her many specialties. 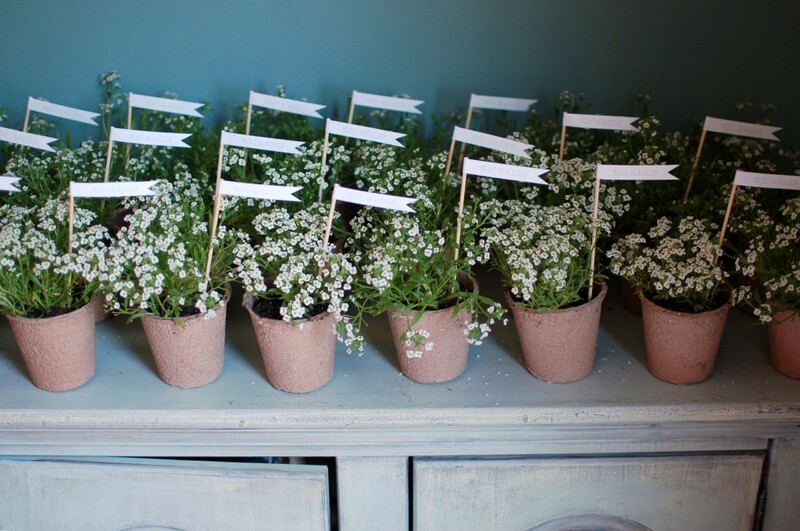 As a parting gift, I gave guests potted Sweet Alyssum. The tiny white flowers are sold (seemingly everywhere) in six packs, and I transplanted them into biodegradable pots. I added “Merci Beaucoup” flags, and I’ll include a template for that in an upcoming post, as well. Many more shower details to follow. 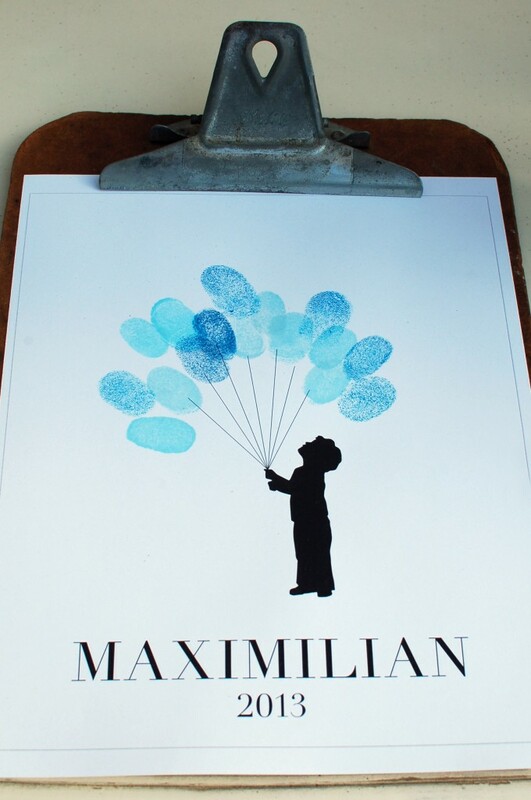 Now for the countdown to baby Max’s arrival! You did a really, really great job. Everything was perfect! 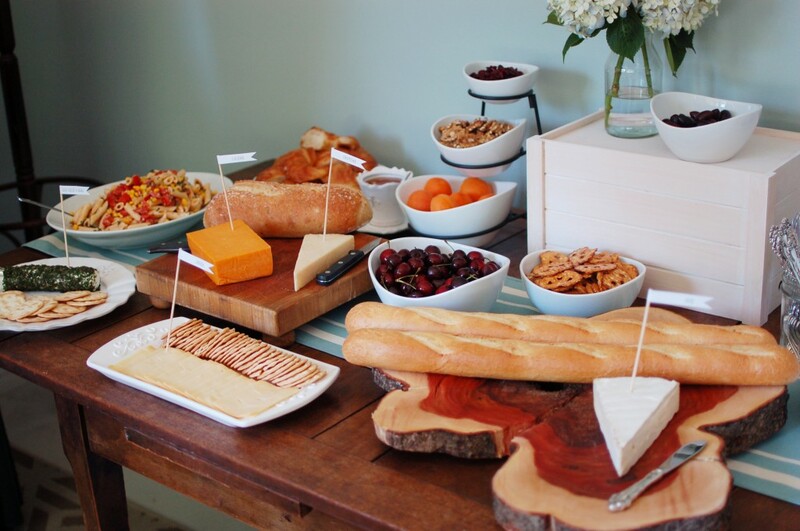 This looks so pretty and so civilized and proper! I need an excuse to make little flags like that now. So many great ideas! I love the alphabet cards! Both of the activities are awesome too! I’ve been to many upon many showers and never seen either the bingo or the fingerprint idea! You are certainly an amazing hostess!